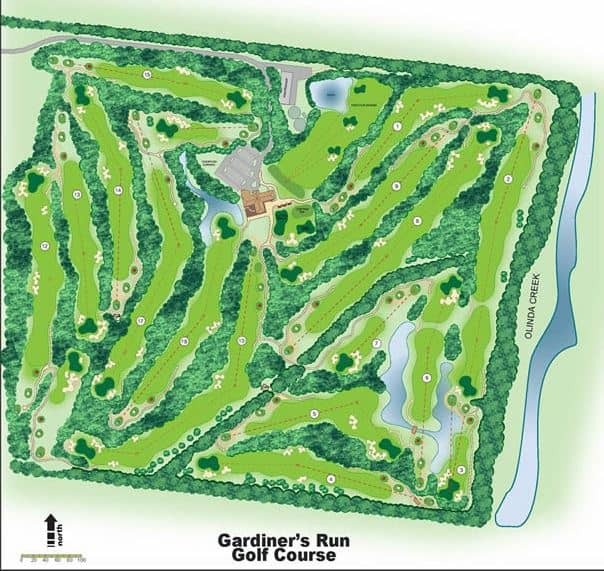 Gardiners Run Golf Course, heralded as a premier golf club in Yarra Valley, is a great place to come and play a round of golf for both amateur and professional golf players. Located within Chirnside Park, the golf club traces its history to the formation of the Chirnside Park Country Club that has evolved from a simple clubhouse and golf course to a fully furnished recreational centre. With world class golf training facilities and well equipped golf shop on location, both visitors and club members will find a one-stop shop for all their golfing needs. Golf lessons are also available at Gardiners Run Golf Course for those interested in improving their game. The tutors at PGA certified and are able to offer you advise on all aspects of your game including your drive, aim and putting skills. During the school holidays, children’s golf classes are offered where kids can sign up and learn the basic fundamentals of the game. Bookings are essential to come and play a game at Garniners Run Golf Course. For those travelling without their own clubs, equipment is available for hire for a reasonable price. 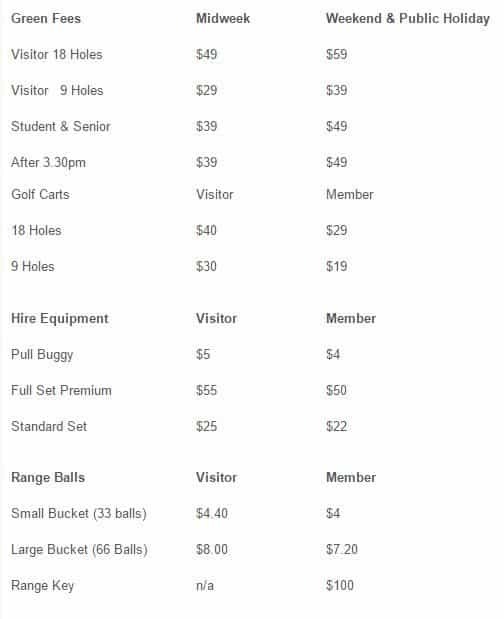 Green fees are detailed in the below image.